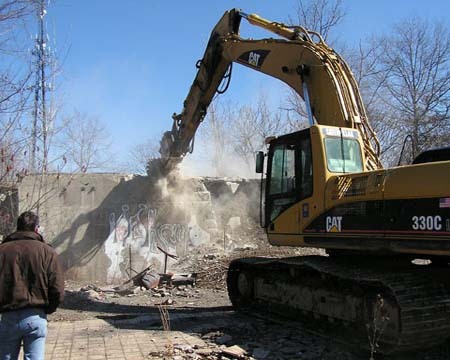 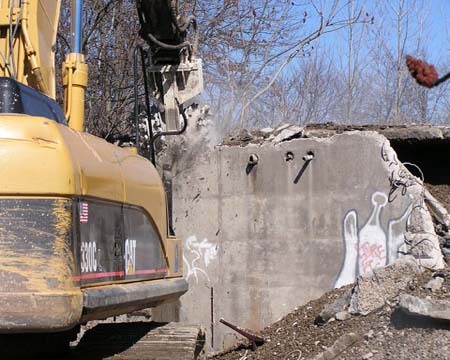 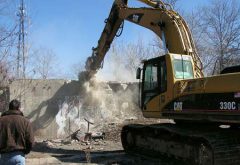 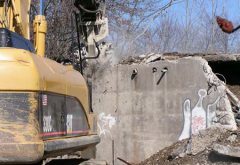 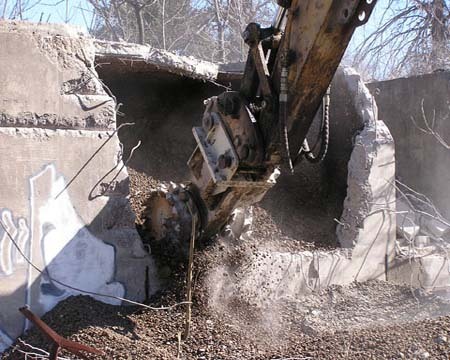 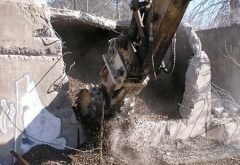 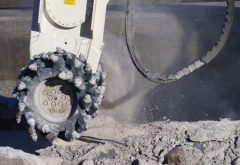 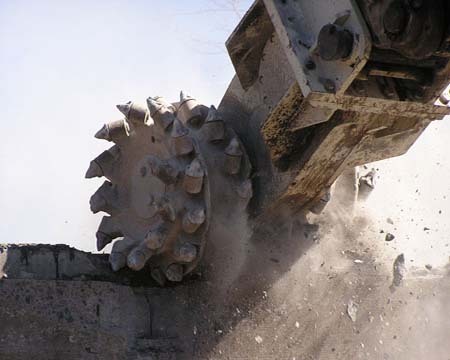 In the demolition application the impact angle between the tips of the cutter bits (picks) and the concrete surface does not exceed 45 degrees. 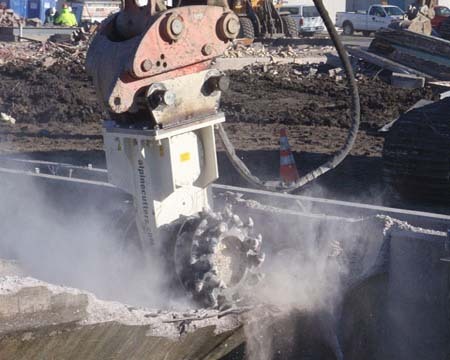 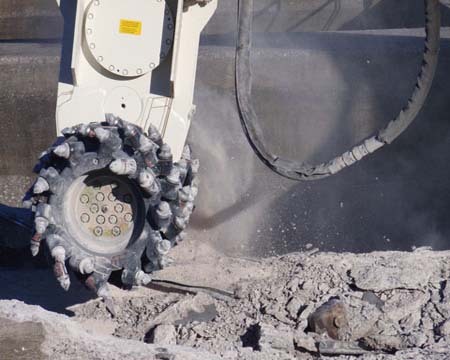 The smooth, low-noise, vibration-free machining action of the bits neither destroys nor causes micro-cracks in the underlying sound concrete. 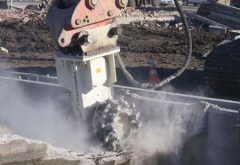 The Transverse Cutter Head can be used for rehabilitation of sensitive concrete structures such as foundations and bridge abutments and for excavation near lock gates.